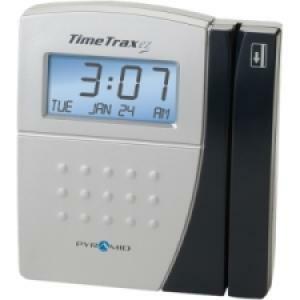 TimeTrax EZ EK Time and Attendance System captures time accurately, streamlines business processes, and reduces expenses with the swipe of a card. System interfaces with QuickBooks, ADP, PAYCHEX, and more and accommodates 50 employees in three shifts. You can upgrade to 6,000 employees. The system allows an unlimited number of system terminals over a single network. Simply plug and play to install. The TimeTrax EZ EK calculates payroll four different ways: weekly, biweekly, semimonthly and monthly. System automatically adjusts for Daylight Saving Time and has internal memory if a power failure occurs. Kit includes all hardware and software.